My suggestion try reinstall and install with correctly ... unless your nepton surface have problem or etc . 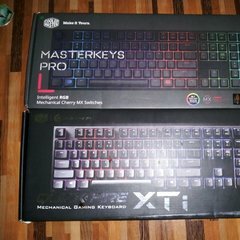 please contact cooler master support services , tell them regarding this issue .. they will assist you . The webpage at https://forum.teksyndicate.com/t/having-issues-with-getting-water-cooler-to-make-good-contact-with-cpu/105845/7 might be temporarily down or it may have moved permanently to a new web address. already check you link . take out the board .. and install the Nepton 240m ( out side ) after that put it back into the chassis .. and see how the result . im having the same problem on my gigabyte z170n-gaming 5. Any fixes yet?